Oh yes, it was one of those weeks where my offline life definitely overtook any plans I had made for crafting up a storm or blogging. What a write-off! Last week was a lull after the storm. 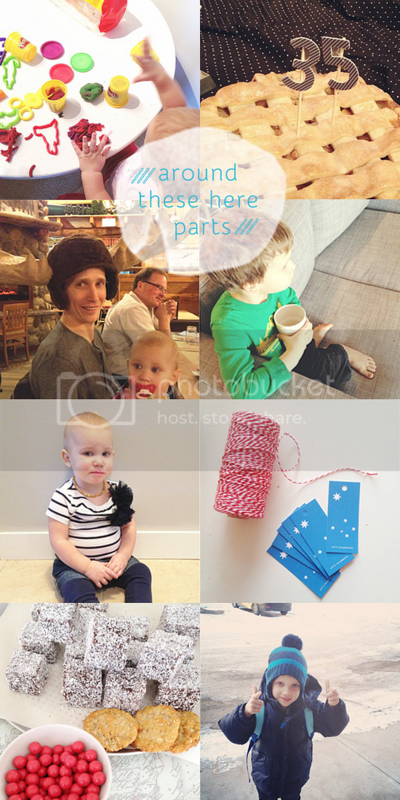 We'd had a huge week and weekend, a first birthday party (which I plan on editing & sharing photos of really soon! ), and a deadline with Dave's work which means less back up at home. So last week was all about catching up on other parts of life like helping with some business plans, sleeping, oh and dealing with another round of colds + kids. Please hurry up summer, our immune systems are strong enough I think!